AMD recently posted a first set of drivers especially designed to support its new Radeon R7 and R9. 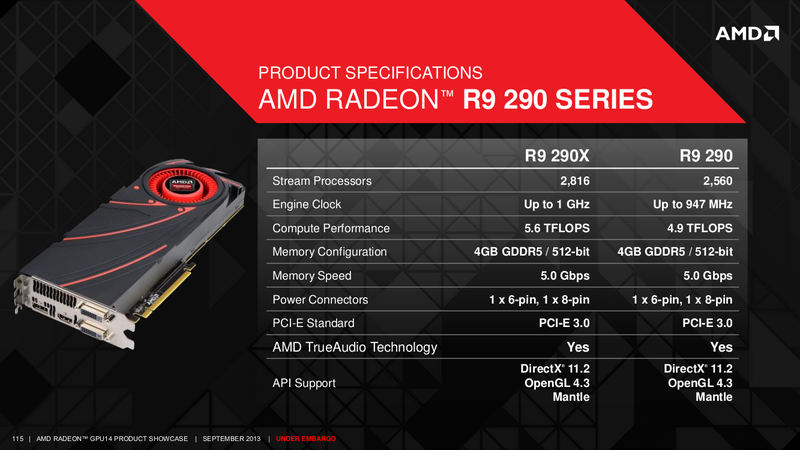 Today, it is updated to support the R9 290 and 290X, and provide some performance gains. Following the arrival of the Radeon 290X R9, and just days before the launch of the R9 290, AMD has decided to update their graphics drivers. These two products are perfectly supported and automatic activation for 4K screens "Tiled display" type (see our analysis of PQ321QE Asus) and Eyefinity. For details and the download from here. Note that only Windows 7, 8 and 8.1 are concerned.